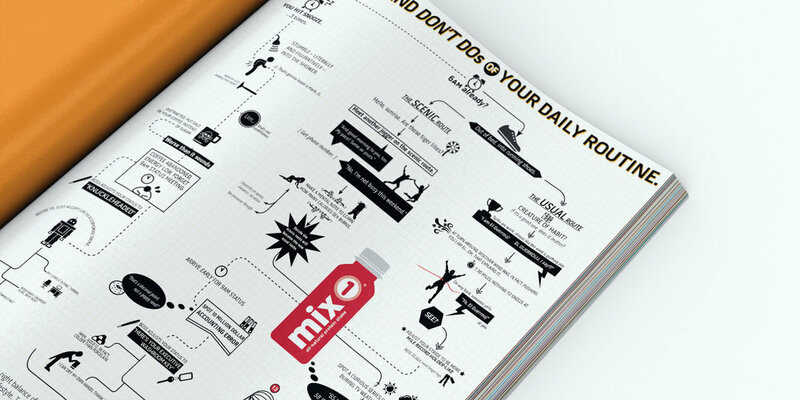 Campaigns produced for mix1, a fruit flavored protein shake, acquired by Hershey's. Mix1 wanted to clearly demonstrate how their product could fit into their consumers lives. We dove deep. The devil's in the details. Take a peek. Showing every nook and cranny of the product. If you ever have a chance to work with Steve Giralt, it's a treat. He calls it "visual engineering,"